Two popular tip configurations on one bit. 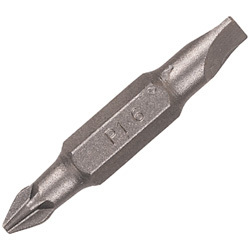 Extra-hard bits are fully hardened and tempered for long life under constant heavy-duty use. The precision formed tip ensures a proper fit.